Thinking back to this summer at Endevvr, it amazes us how much we learned and how close everyone at Endevvr became. Each of us came into the University of Pennsylvania on our first day not knowing what to expect. Little did we know that these 5 weeks would transform our lives. We’re so glad we were able to grow our ideas and our company under the guidance of our fantastic mentors, counselors, and peers. Through the lectures, simulations, field trips, and just time hanging out, we cultivated a bond with each other that has continued to thrive throughout more than four months since Endevvr ended. Even today, we have a group chat we all use to stay in touch with each other. 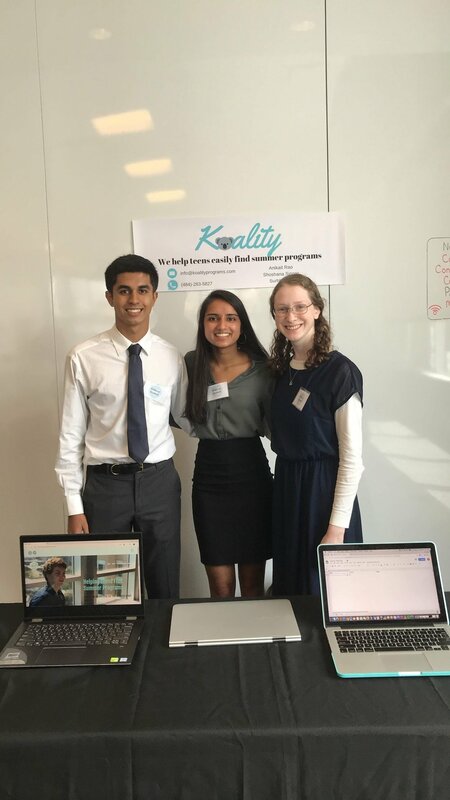 The company we created at Endevvr, Koality, is dedicated to empowering students to discover their interests through meaningful summer programs and internships. We understand how difficult it is to find a good summer program; it can take students hours to find a program that meets their interests and requirements, if they find one at all. Koality allows students to filter through a myriad of programs by their interests and learn basic information about each program at a glance. About 3 months after Pitch Day at Endevvr, we launched our website, www.koalityprograms.com. So far, we have more than 100 programs and over 600 unique visitors. We are actively adding programs and advertising to students, as well as having bi-weekly meetings to talk about our progress and plan our next steps (and of course just catch up with each other). Running Koality has been an incredibly fulfilling and exciting experience, and the lessons from Endevvr don’t stop at our company. We ended the summer with invaluable knowledge about people and teamwork that applies far beyond the scope of a start-up. We left with experiences that taught us to not shy away from a challenge. We learned to not be embarrassed by failure, but instead to embrace it, because when we fail is when we learn the most about ourselves (and it gives us the best stories). Most of all, though, we came away from Endevvr with a wonderful network of mentors and friends who are there for us if any one of us needs help or advice, or even some encouragement or support.